After months of despair we have finally felt a flicker of hope on hearing of the raid by your soldiers with Kurdish forces several days ago which released 69 hostages being held by the Islamic state. We know very well what those hostages were going through. Like them we are held in captivity, abused, and face execution. We have been in this situation for months. 253 of us were captured by Islamic State soldiers in the Khabur river valley in Syria in February. 250 of us were kidnapped by the Islamic state when they overran our town of Qaryatain, in the central Homs province last August. We have heard in recent weeks that many of us are about to be killed, following the execution of three of our number on September 23. Apparently the hostages that your forces recently released were also about to be executed. You did well to release them and we would ask that you do the same for us. There is one thing that distinguishes our case from the hostages that you recently released. Like you, Mr President, we are Christians. Assyrian Christians, to be precise. Like you we believe in Jesus Christ as our Saviour and we believe in the authority of the Bible. Will you save us, Mr President? Do you identify with us as a fellow Christian? Do you feel any responsibility, as the leader of the world’s largest Christian nation, and one of its most devout? Does the worldwide church mean anything to you, Mr President? We know that you have authorized American warplanes to bomb Islamic state soldiers. But that will not save us, Mr President. The Islamic State soldiers are very skilled at hiding when your warplanes fly overhead and re-emerging when they fly away. And so the nightmare goes on. We beg you Mr President, to come to our assistance, as time is short. We really do appreciate your prayers and those of your nation. But action is needed in addition to prayers. Will you act on our behalf, Mr President? 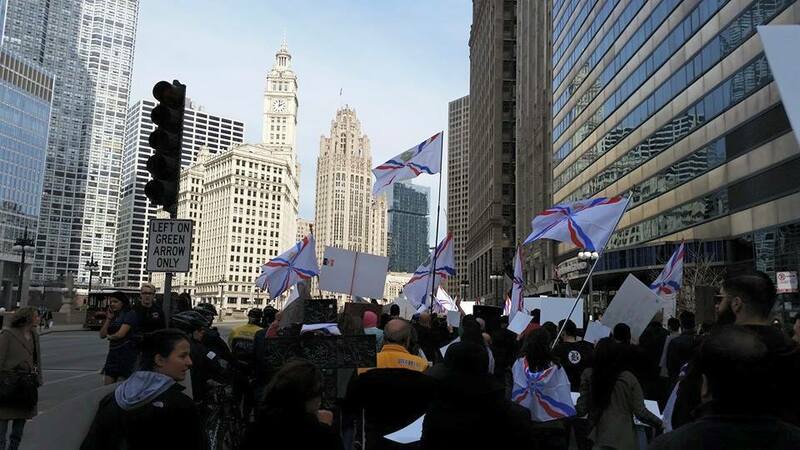 © 2015 Assyrian International News Agency. This entry was posted in Featured News, News and tagged Assyrian Christians, Assyrian International News Agency, Iraq, Islamic State, Mr President by Orthodoxy Cognate PAGE. Bookmark the permalink.